• A strategy game: raise an army and attack your neighbors. Hire/train/grow your army to prepare them for combat. money and food. Enjoy a rich production system to build your kingdom. • Challenge your friends by launching your troops against their lines of defense and see who has the best army! • Forge alliances, rescue their units, and send them unique gifts. A strategy game: raise the most powerful army and attack your neighbors to prove your strength. A medieval simulation: expand and cultivate lands in a rich production system to build your kingdom. Challenge friends by launching your troops against their defenses and see who has the best army! Forge alliances with friends, help their kingdoms, rescue their units, and send them unique gifts. Upgrade your buildings and unlock new ones to enhance your capacities and optimize your production. 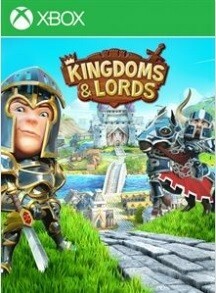 Invest to develop your army and upgrade their weapons to protect your kingdom against rivals. Written by: MBGW on April 5, 2014.